oktober 2010 | 544 blz. 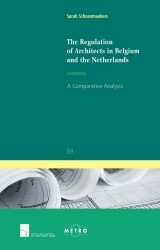 This book discusses and compares the different legal and economic aspects of the regulation of architects in Belgium and the Netherlands . It also discusses EU legislation and case law on the free movement of architects in and to the European Union.